NOTE: Point #3 contains potential spoilers for a game that will not come out in a very long time. Skip that point if you want to avoid them. 1) Soundtrack. Currently I have not started on this game's soundtrack since I am so early in development. However, my current idea is that battle themes and music for different areas will be remixes of or themed around the types of music in my different games. I want to do the game's soundtrack myself, but I'm still figuring out what to do with this. Any advice? 2) Animations. At my current rate, it may take several thousand years for one person to hand draw, digitalise and animate every single frame of the game at this current rate. Animations such as the Poppytail gif you can see in my signature run at 25 fps, but considering my hand-drawn backgrounds as well, this could cause major storage and memory issues. So I'm thinking of maybe downscaling the frame rate of animations because there will be loads in this game. Maybe if I can manage 10fps for animations? To make this easier to understand, 10fps is one frame every 100 milliseconds. My current rate is one every 40. 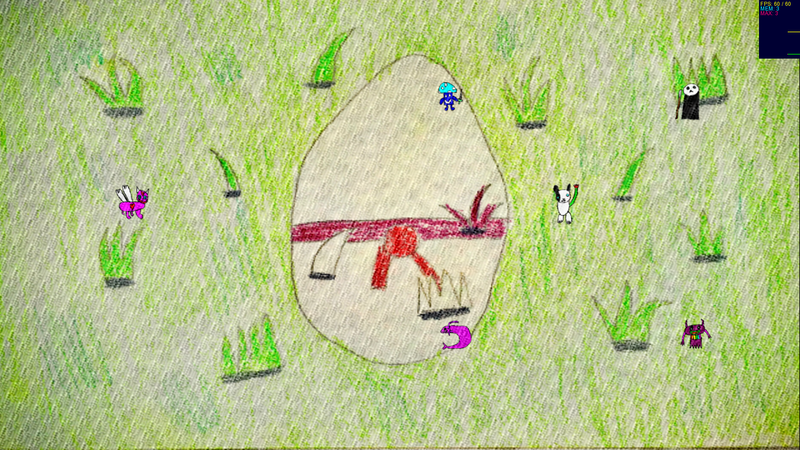 Considering the large amount of characters this game will have, animations like the one in my signature may be in their tens of thousands by the time the game is finished. 3) Content. There will be loads of levels in this game. I want to somehow make sure all of them have some sort of twist or something that doesn't make them too boring, so progressing in the game doesn't feel like you're always fighting the same enemy with different moves each time you go into a fight. There will probably be at least 100, so this project is massively ambitious for one person. Some of these worlds will be quite small. My estimates for how long each will be from smallest to largest is this: Geometria, Easter Island, Non-Existence, Trapdoor Graveyard, The Training Grounds, Old Rosemary Games, Boompaint Island, Rosemary Games, The Elecreature Territories. 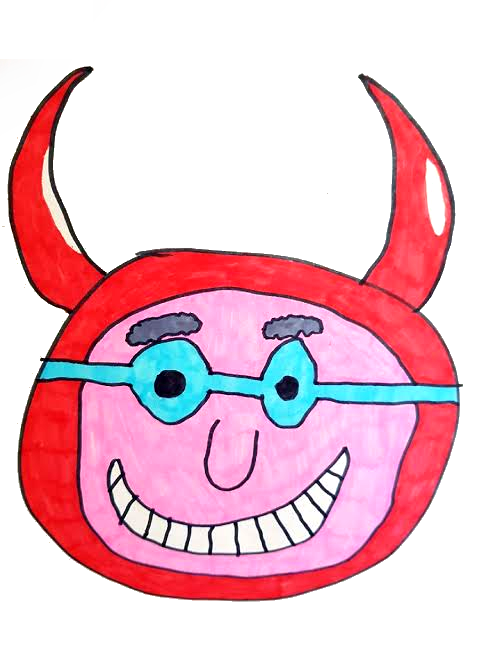 Pretty much the idea behind this is you have the major antagonist: Wracedevil. Picture below. So, he has twelve minions which will need to be beaten in order to get to him by travelling through The Elecreature Territories. Along the path are ten gates. There are two of these minions who can be beaten before encountering any gates, but the first nine gates require you to have beaten any other world to unlock. After the first two, the path to one of these minions will be behind each gate. The tenth one has a different objective I will not say. So that world will be quite long. So, I'm going to working on Poppytail 5 and Pixeltail for quite a while. My goal is for the game to be done by mid-2020, but I can't make any promises.